For the second time in a row, former Gov. 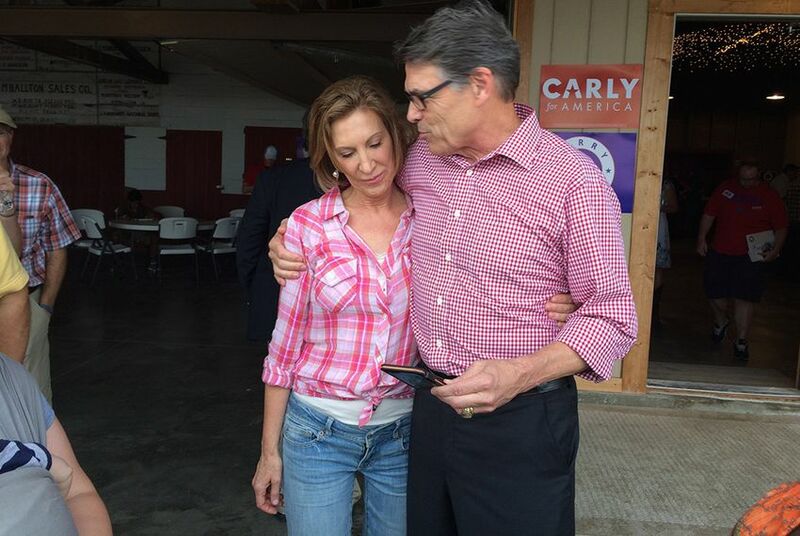 Rick Perry has failed to make the prime time lineup in a GOP presidential debate, though Carly Fiorina will move to the big show, CNN announced Thursday. WASHINGTON -- For the second time, former Gov. Rick Perry will not qualify for a top-tier GOP presidential debate. CNN announced Wednesday night that the network would expand upon the August Fox News lineup of 10 candidates by adding former Hewlett Packard CEO Carly Fiorina. She will join real estate developer Donald Trump, former Florida Gov. Jeb Bush, Wisconsin Gov. Scott Walker, retired neurosurgeon Ben Carson, U.S. Sens. Ted Cruz of Texas, Marco Rubio of Florida and Rand Paul of Kentucky, former Arkansas Gov. Mike Huckabee, Ohio Gov. John Kasich and New Jersey Gov. Chris Christi on the debate stage at the Ronald Reagan Presidential Library in Simi Valley Sept. 16. Fiorina upstaged Perry during the early August debate and he has since faced serious financial struggles in his second bid for the presidency. Perry will instead participate in the undercard debate at the same location two hours earlier. CNN determined the breakdown of debate-stage tiering based on "averages of national polls," according to a network announcement.